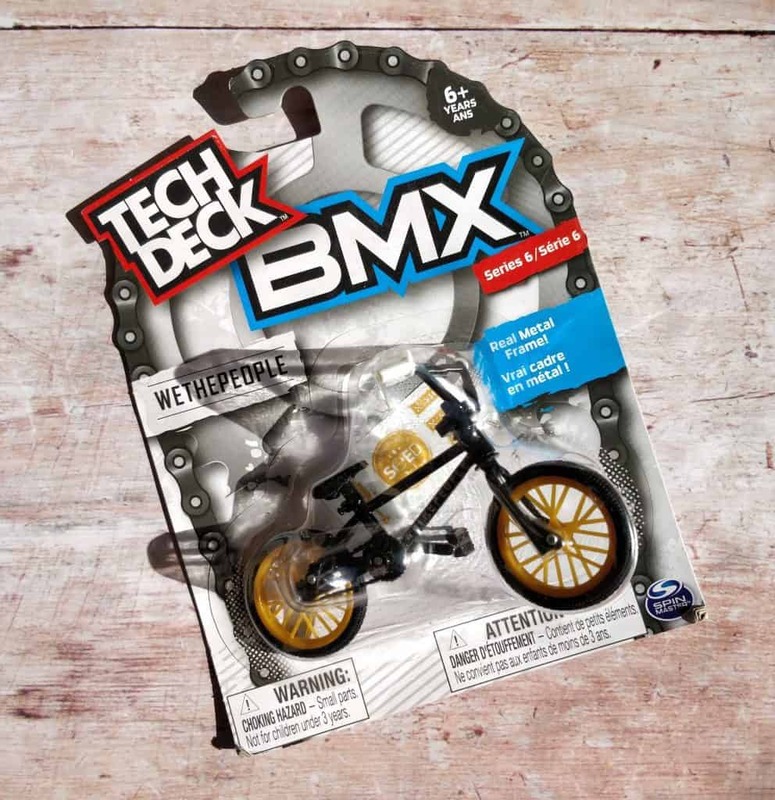 Tech Deck brings back a lot of memories in our house particularly for my husband Ollie. Do you remember them? 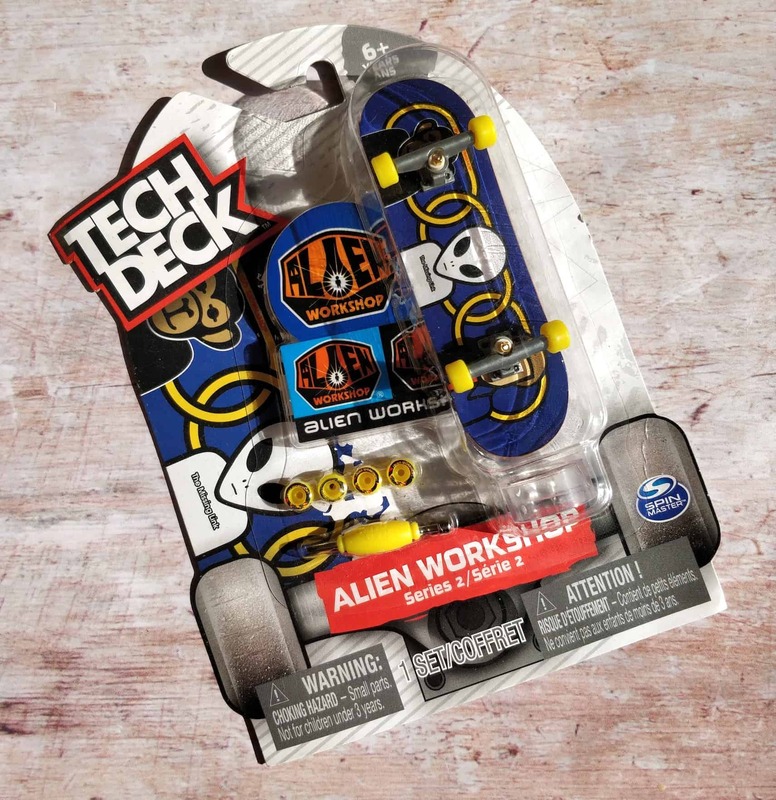 Skateboards for your fingers? He tells me he was quite the ‘fingerboarder’ and could do tricks and stunts – try not to be too impressed. 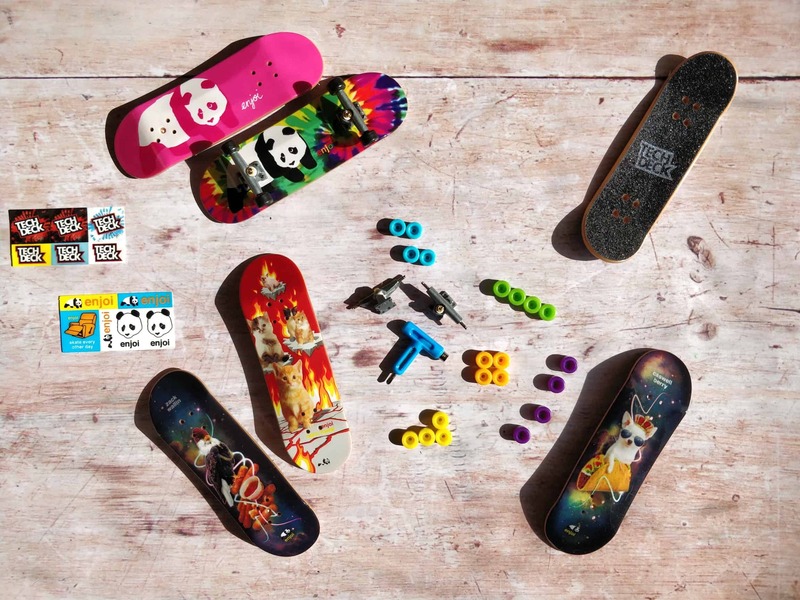 To be fair the boards are actually very cool with some genuine skateboard brand designs and customisable options I can see the appeal to a child. 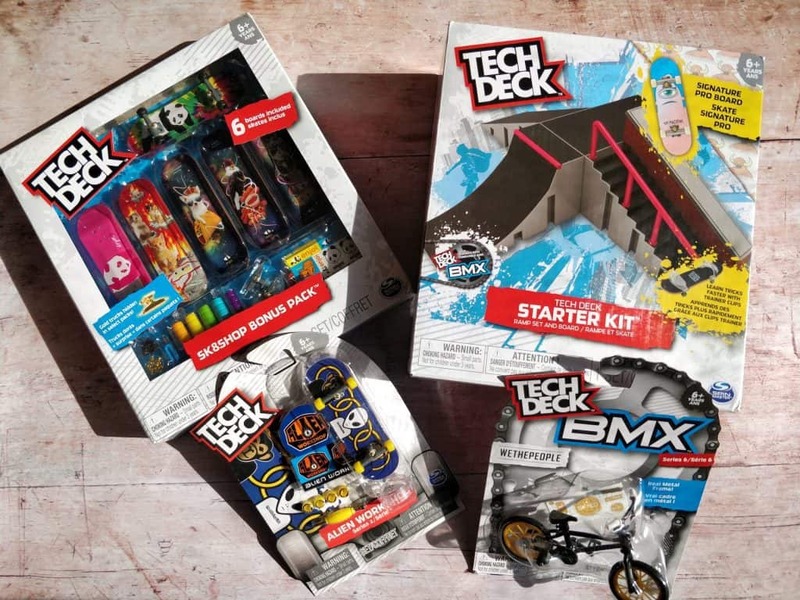 We have kindly been sent some Tech Deck goods to try out and as you can imagine both Henry and Ollie are overjoyed. 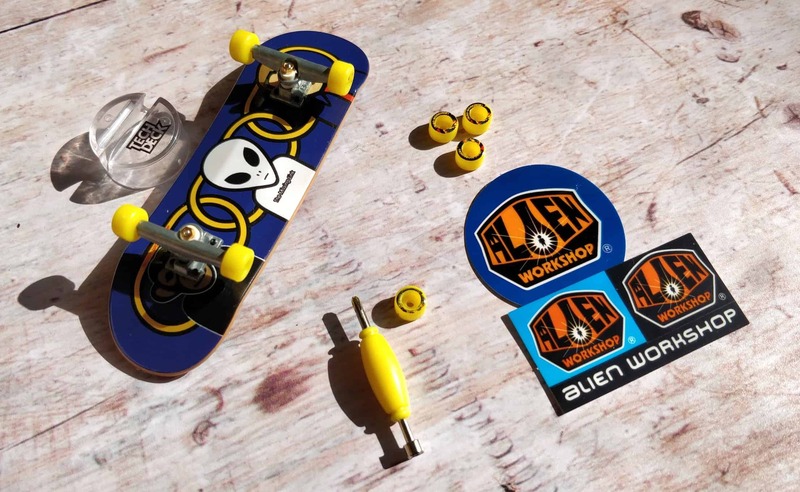 The single board pack includes one skate board, tools, spare wheels and some stickers. This would be a greater starter pack if you want to see if it’s something your child will like. Henry was very excited and impressed with the contents and it’s not too overwhelming. Hidden in the box was also some gold ultra rare trucks which were the cause of lots of oooing and ahhing. The screws and nuts are tiny and it’s all a bit fiddly so that was a job for Daddy to assist with I definitely think Henry would have struggled on his own. Each board is classed as common, rare or ultra rare and we were lucky enough to get a mixture of each in our pack. There are loads of other boards to collect and I think part of the excitement will be finding them all. This set is probably Henry’s favourite but my only pet peeve would be that once opened there is nowhere to put the tiny accessories like the screws and nuts. I can see them getting lost quite easily so having something to keep them safe would be ideal. 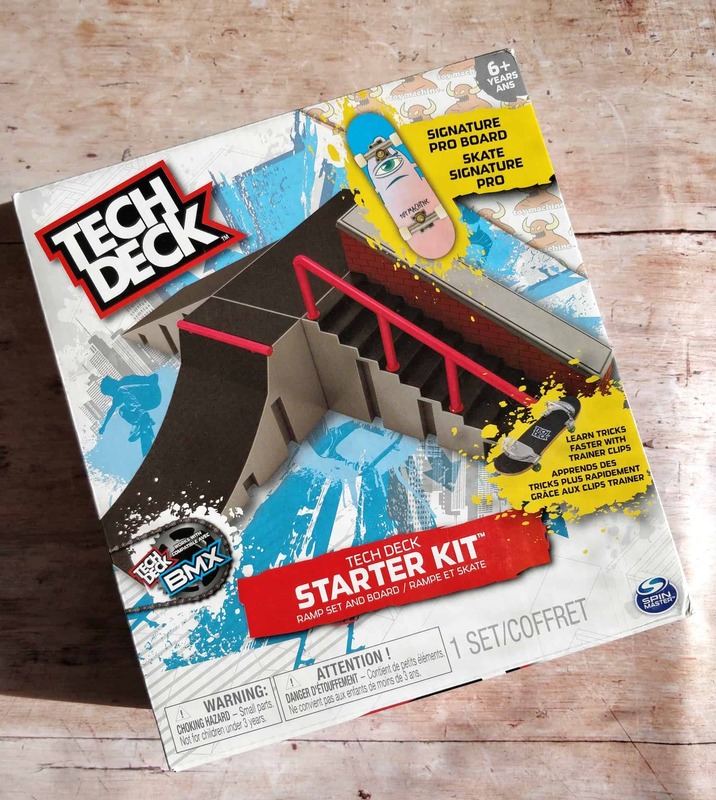 There are several different ways the ramp can be built which means endless combinations and fun. The trainer clips are included and are supposed to make it easier to ‘catch air’ which it’s safe to say even Fingerboarder of the year hasn’t mastered yet!! 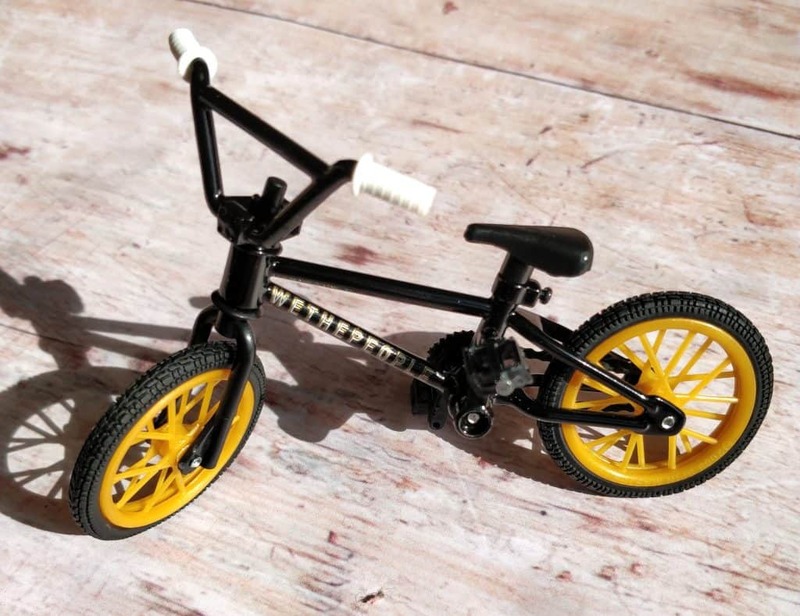 Alongside the beautiful fingerboards we also received a BMX which has a little tiny chain and everything! It looks just like a full sized bike only tiny!! Mastering the BMX was much harder for us than the fingerboards but a bit of practice should sort that right out. I think it’s safe to say the boys of this household are overjoyed. Henry is currently trying to master a few ‘tricks’ whilst Daddy continues to show off that raw talent – aren’t I lucky! 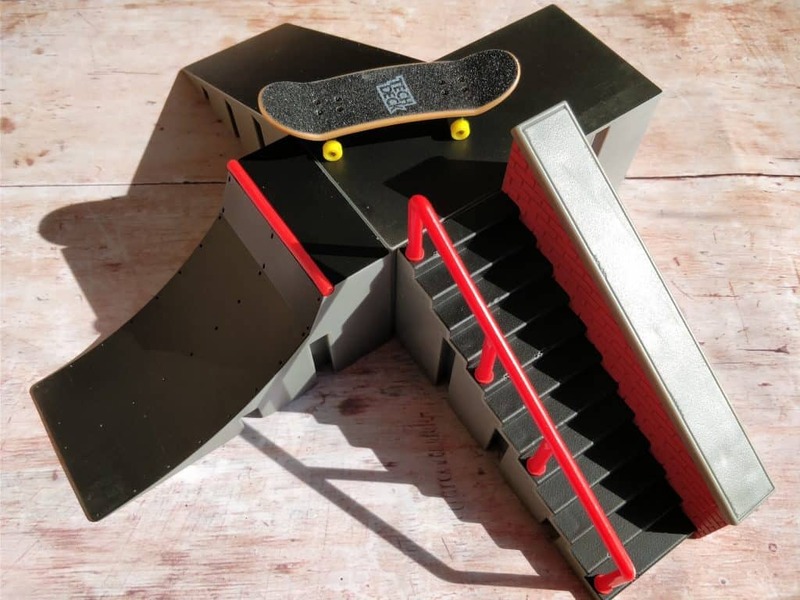 I liked the way that the ramp could be customised into many different combinations and it just means that the possibilities are endless if you use your imagination. All of the toys were recommended for ages six and above and I would agree with that however those closer to six will definitely need help and assistance. It’s a great toy to play with friends but can also be just as easily played with alone. All of the boards are well made and replicate the full sized versions. One thing that would make this toy even better would be to have a storage box to hold everything together. Check out the full range of Tech Deck goodies available on their website here. 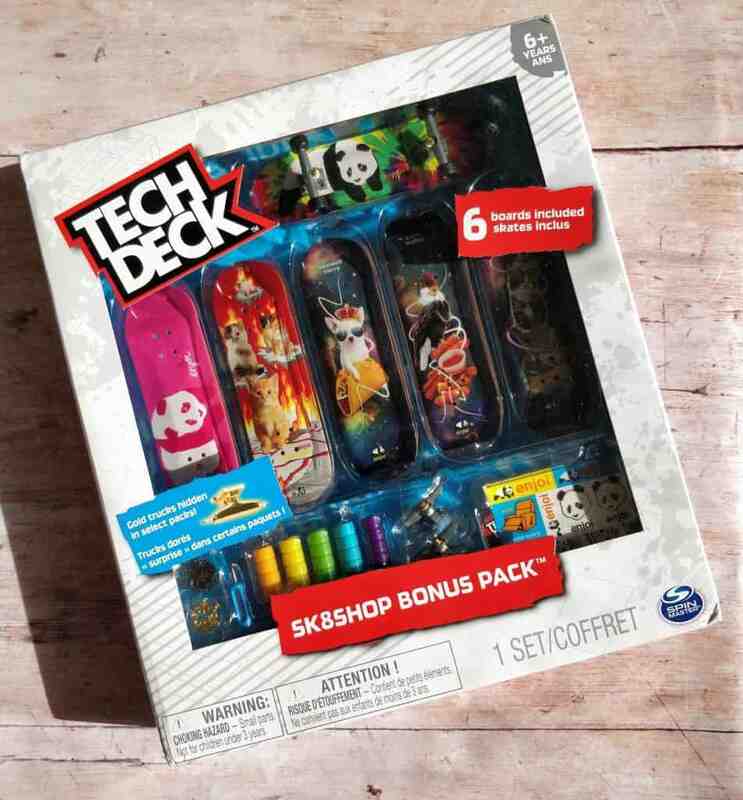 *We were sent these Tech Deck items on a gifting basis in return for an honest review. All words, views & opinions expressed in this post are honest and my own. For more information on any of this please visit this page. UPPAbaby Cruz – How Are We Getting Along?